These days we‘ve all become accustomed to new ways of doing things, including how we pay people. What was once cheques, became credit cards which morphed into online payments, PayPal and the list seems never ending. But there is a new breed of electronic payment that has lent itself to wide scale fraud and our acceptance of embracing new ways of doing things is leaving thousands of consumers out of pocket. Consumers have been reporting an increase in problems with Ukash, Moneygram and Western Union. The business community have come to associate all of them with fraud. Like anything, they all have legitimate purposes and, when used properly, help many people pay for goods when they wouldn‘t have any other way of doing so, but the reality is that they are just poor second cousins to the good old credit card. What it does not say is that once you‘ve paid your fraudster, you‘re not getting your money back. they can collect the money you paid them from anywhere in the world. Fraudsters are really clever. Whatever scam you can think up, they‘ve probably done it. One of the latest scams is that they will call you and say that some goods or services you ordered are ready for you (such as your bank charge claim, PPI Claim, Mortgage Application or your registration on the Telephone Preference Service, etc) and say that you need to pay a fee in order to complete the transaction. Many people fall for their scam and pay them by, of course, Moneygram, UKash or Western Union. They are so clever, many of them give out the names and contact numbers for legitimate companies, but they don‘t actually expect you to call them and many don‘t. None of these forms of payment offer protection in any way comparable to a credit card. This is why fraudsters use them. We do not believe that any reputable company in the UK will ask you to pay using any of these forms of payment. call them back from the telephone number you should already have for them or visit their website. Don‘t be fooled into calling them back on a telephone number they give you as it may be a false number. 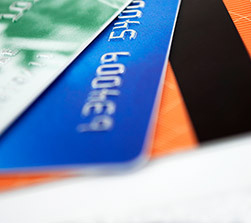 If you don‘t have a credit card, consider methods like PayPal. If you are really limited on options and have no other choice then just take extra care and don‘t get ripped off! Watch out… it‘s a crazy fast moving world out there!